Sasamans Society is seeking a dynamic and motivated individual who enjoys working with families and youth. 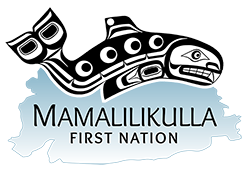 This position is based out of the Wachiay Friendship Centre in Courtenay, B.C., 5 days (35 hrs) per week. The Aboriginal Family & Youth Navigator program aims to provide support and guidance to Indigenous families and youth involved with the Ministry of Children and Family Development (MCFD). Duties include but are not limited to the provision of support, guidance and information to Indigenous families on the child welfare process; family court process; liaising with child protection workers and service providers while strengthening Indigenous family units. Additional services for Indigenous youth include youth transition planning, youth on probation and support during and after aging out of government care. Pursuant to section 41 of the BC Human Rights Code, preference may be given to applicants of Indigenous ancestry.